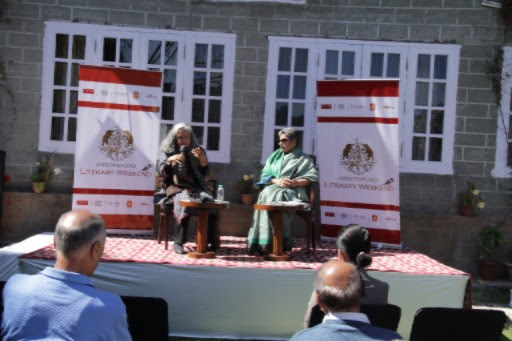 The first Abbotsford Literary Weekend started at Abbotsford, Nainital in a traditional way, where Kumauni music was played. The event was introduced by Dr Ajay Rawat after which the event formally started. 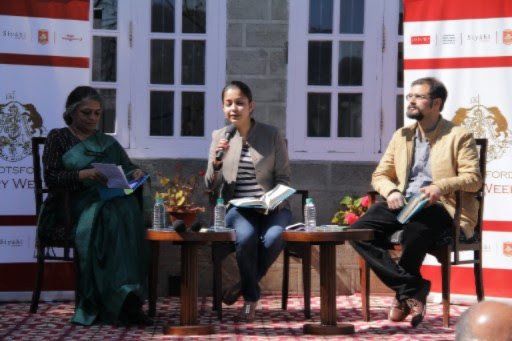 The first session saw Chitra Iyer Shah, Kanika Sisodia and Akshay Gururani talking about the essence of mountains and read from Himalaya: Adventures, Meditations, Life published by Speaking Tiger. 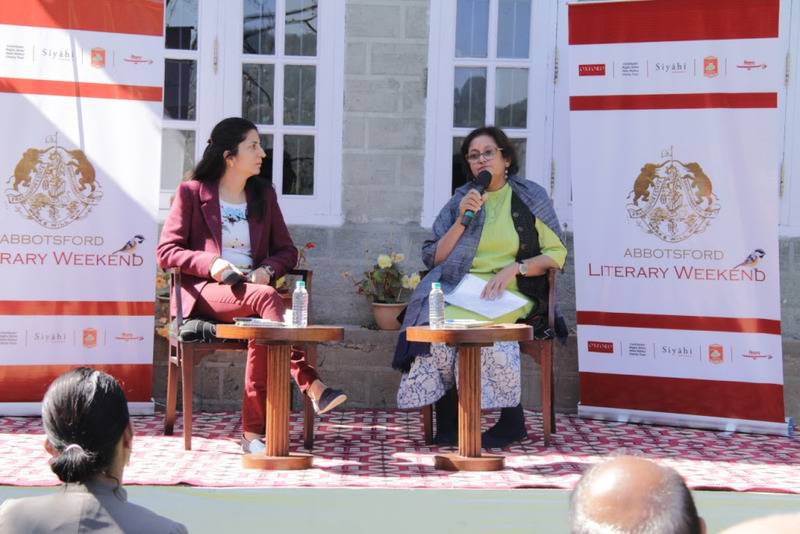 Second session Words of Quiet: Of Colour and Calm was an engaging session where Bulbul Sharma was in conversation with Aneel Bisht. In this session Bulbul Sharma talked of her oeuvre as an artist and an author. In the third session Janhavi Prasada was in conversation with Namita Gokhale. In this session Janhavi Prasada’s upcoming graphic novel Tales of Young Gandhi was discussed. It was an entertaining session where Gandhi’s multifaceted personality was talked about. 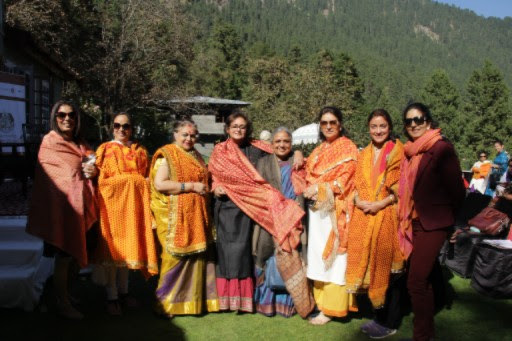 The fourth session was the most colourful session quite literally, as the beautiful ladies wore the bright polka dotted Rangwali Pichhauras, a traditional Kumaoni garment for a session on Rangwali Pichhauras: Reinterpreting Fabric & Fashion. In this session Mamta Mansingka and Nita Pawar were in conversation with Dr Alka Pande. 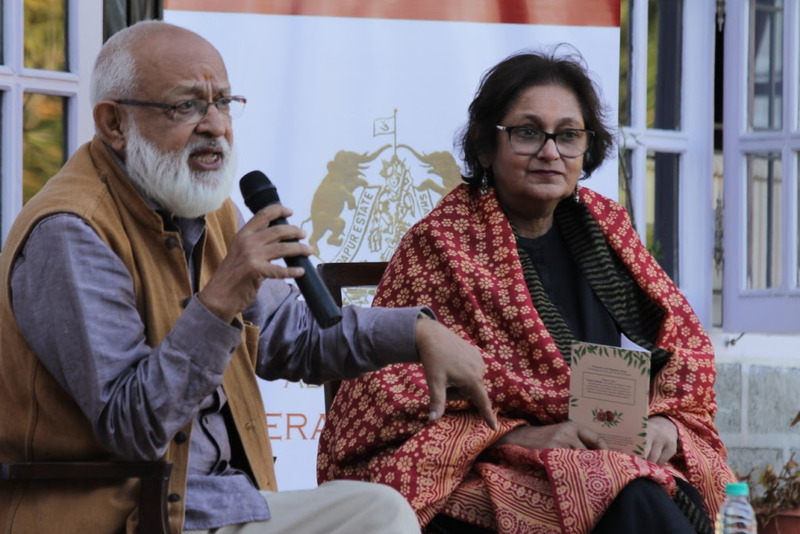 The last session was a Curtain-raiser event for Namita Gokhale’s latest book Things to Leave Behind. In this session Pushpesh Pant, the eminent historian, spoke very highly of the book. The event was held on Sunday, October 23, 2016 at Abbotsford Heritage Homestay. 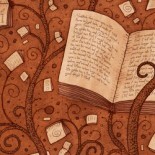 The event was produced by Siyahi, a literary agency based in Jaipur. This entry was posted on October 25, 2016 by artikabakshi in Events and tagged Abbotsford Literary Weekend 2016, Siyahi.